There is a connection between self-confidence and physical well-being. We answer frequently asked questions on personal hygiene products to help you find the right one for your lifestyle. Before we look at how deodorant works, we need to examine what causes sweat and the science of sweating. When the environment, such as heat or stress triggers our sweat glands, they secrete water and salt. Most people think that sweat itself is the source of unpleasant odour. In fact, the smell comes from the bacteria on the skin that ingests the sweat at the apocrine glands – the glands in your armpits. 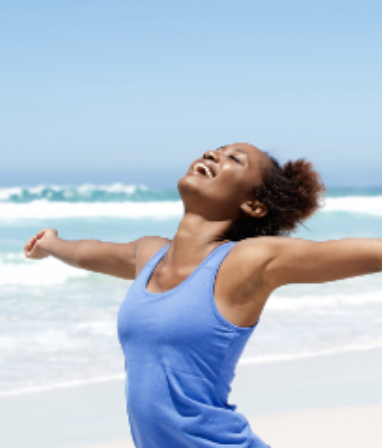 To improve your comfort and well-being deodorant sprays block the bacteria rather than the sweat glands themselves. Do you need a different deodorant for sports? The last thing you want is sweaty patches or unpleasant odours when you are working out. A strong antiperspirant like NIVEA Stress Protect Spray keeps both the moisture and smell under control. Its unique formula supports you even in the most stressful situations. How is deodorant different from antiperspirant? Antiperspirants give a certain number of hours of protection from sweat. Find out what lies behind the packaging to help you choose a scent and formula that suits your skin type and routine. It is in NIVEA’s nature to create products that protect and care for your skin. As a result, the focus is always on formulas that are gentle but effective for every lifestyle. This means you can choose your product to match your mood and personality, safe in the knowledge it is keeping you fresh throughout the day. Fans of distinctly feminine scents will love the fresh floral note of NIVEA Fresh Flower Deodorant. For those who prefer a more elegant scent there is NIVEA Powder Touch Antiperspirant with its powdery fragrance that makes you feel feminine throughout the day. If you love the unique and caring scent of the NIVEA Creme you should explore NIVEA Protect & Care. You have enough on your mind when you are concentrating on your gym routine or fitness class instructions without having to worry about how you look and smell as well. NIVEA Dry Comfort contains a special zinc complex to block sticky underarms and odours for up to 48 hours. Enjoy soft-feeling and beautiful underarms with NIVEA Pearl & Beauty Antiperspirant Spray. Don’t be fooled by the light scent. The formula with precious pearl extracts may seem delicate but this is a strong antiperspirant spray with reliable protection. Sticks like NIVEA Double Effect Violet Senses Antiperspirant Stick provide gentle care to delicate areas like your underarms. Due to their convenient format, they are perfect for your handbag and can be applied precisely and quickly when you’re out and about. Pump sprays are the babies in the deodorant family. They may not have been around as long, but they shouldn’t be underestimated. 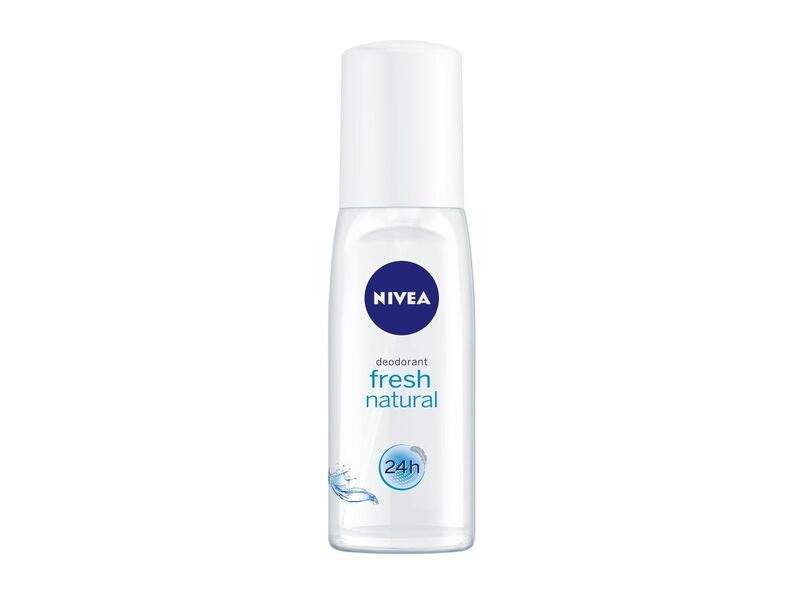 NIVEA Fresh Natural Pump Spray lets you direct the formula exactly where it is needed for a fresh feeling and mild care. 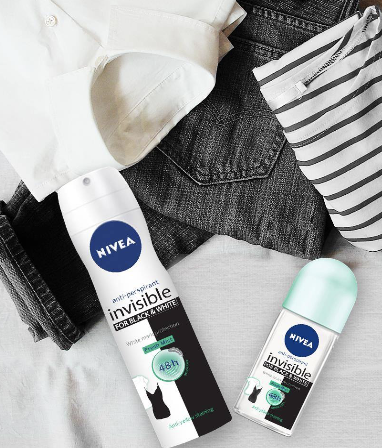 NIVEA Invisible for Black & White Pure helps you protect your clothes for longer and keeps you fresh for up to 48 hours. This roll-on formula protects from white marks on black clothes and provides anti-yellow-staining.